I’ve had quilter’s block the past few months. 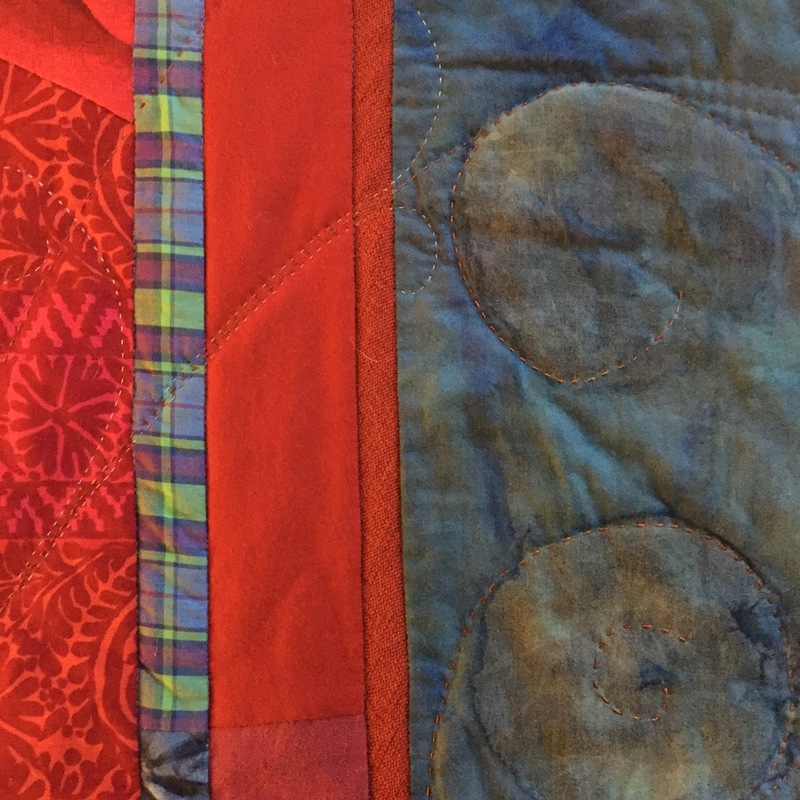 Can’t seem to finish the three pieces that need their final quilting. Do I hand quilt or machine quilt? Do I set a deadline, impose my will when I am not ready? Or just rest with them in their unfinished state while I knit knit knit. I’m really enjoying the knitting. The rhythmic ease of it. I used to feel this way about hand quilting. I’m sure I still do, if I could only re-engage with it again. One of the three pieces has an ample amount of hand quilting already, which I really liked. But in a fit of feeling like I needed to advance its progress, I added a few days worth of new lines. It wasn’t right. The energy the stitches created with the design was all wrong. So it’s been sitting on my dining room table while weeks have gone by as I just let it be. Then in a moment, in the middle of just another row of knitting, I saw what I needed to do. It would require ripping out much of what I had done already. It would take time to complete. But it would be what this quilt wanted. What a relief. Not coincidentally that same morning I read the phrase, “in God’s good time”. Well, in some good time anyway. The phrase resonated. Everything happens ‘in good time’. Trusting this will always be trusting that it is beyond my control. I began to watch where else I had been holding my breath, waiting for I don’t know what, to get to a place I thought I wanted to be. 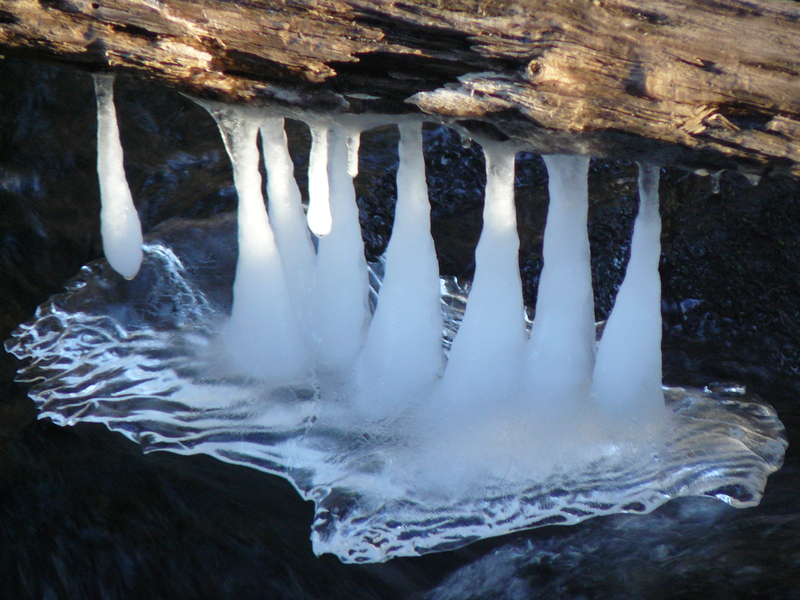 I had been avoiding the woods for the past week as the snow now frozen into a hard crust, made for treacherous walks. Even walking to the woodpile was a hazard and It finally occurred to me to get some crampons. I don’t know why it took me so long. I could have driven to a sporting goods store, could have satisfied this need immediately, considered even last year the need for such an indispensable commodity in my new environment. But for some reason I was to come to this realization in good time. They would arrive in a few days. I ordered the heavy duty trail crampons ‘tested in the Himalayas’ from LLBean, the ones with chains and deep metal spikes. They arrive in just a few days. 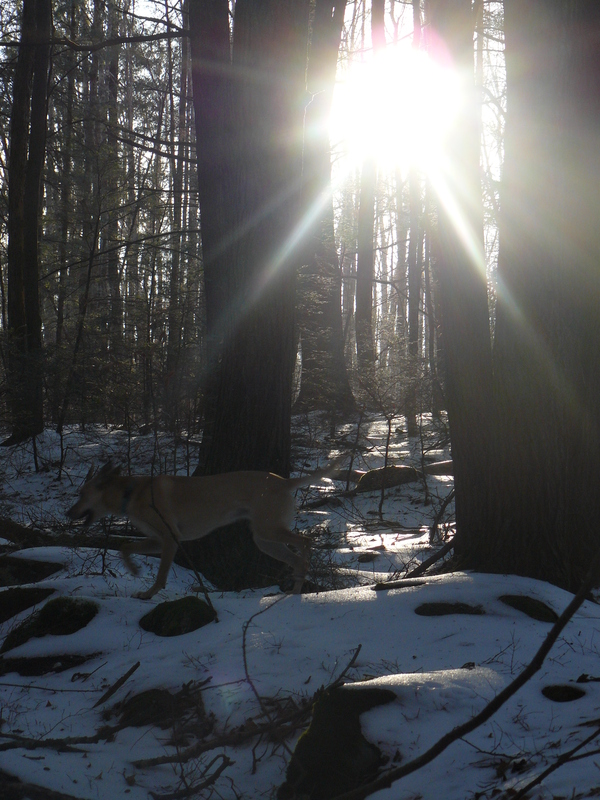 It was with immense satisfaction that I strapped them on and headed into the woods with Nora, sun bouncing off the hardened crust. It was like walking on water! My feet clung to the ice with ease. What a deep appreciation I had for simply man-made in that moment. The brook had transformed once again in our absence. 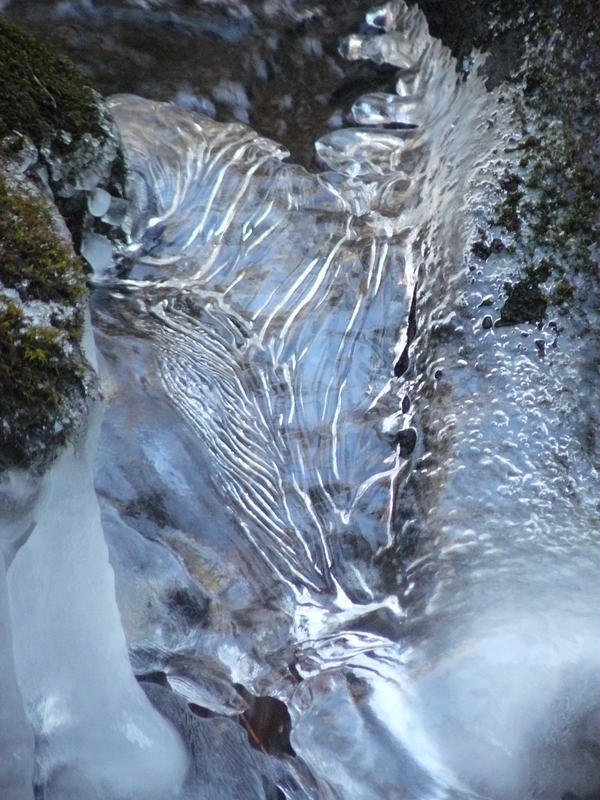 Beautiful formations of ice crusted at the edges of things, cold clear water still flowing freely. Would it have had the same impact, would the awe of these beautiful creations exist if I had been watching the progress each day? It’s like putting on these crampons, being able to move so freely in a place that I thought I couldn’t, was the opening for understanding just how significantly life happens in good time. I had even been stalled in the kitchen the past week. A package of organic ground turkey in my refrigerator. It had been years since I did anything with ground turkey. All I could think of was to make simple pan seared turkey burgers. Which I did for a few days. And then the knowing came. It wasn’t just the inspiration to make a stew. It wasn’t like I usually do. Start out making something and see where it goes. No, like with the quilting, it was a very precise vision, a specific combination of things that was very clear, turkey braised with lots of chopped onions, garlic and mushrooms, big chunks of carrots, a jar of canned tomatoes. And with relief, there was still room for spontaneously inspired here too. Ground fennel and dried thyme were added without question or deliberation in process. And then the grand moment. Adding heaping tablespoons of apple onion chutney made earlier in the fall. A squeeze of tomato paste with the salt and pepper. 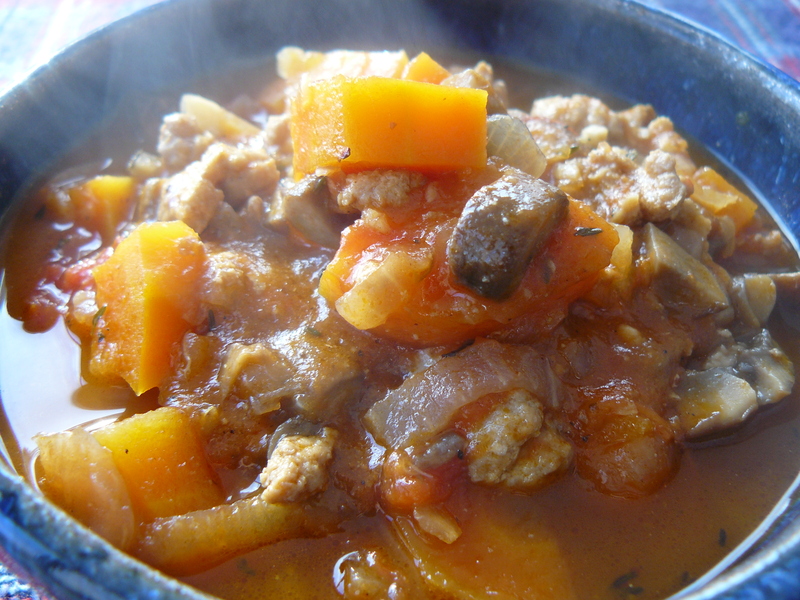 Sweet and sour turkey stew**. I can’t remember something tasting this good in a while, eating it steaming hot just moments after the carrots went from crisp to just cooked. And of course, it was delicious all over again in a more sophisticated way, heated up the next day. Not to forget the new bird feeder. In good time the variety of birds have been appearing. I walked out onto the porch the other morning to see a significant flash of blue as the jay took off from the feeder, upsetting the bright red cardinal waiting patiently for its turn on the nearby branch, so much color in the otherwise gray of the scene. The activity has been growing daily, and I’m actually having to fill the feeder almost every day now. 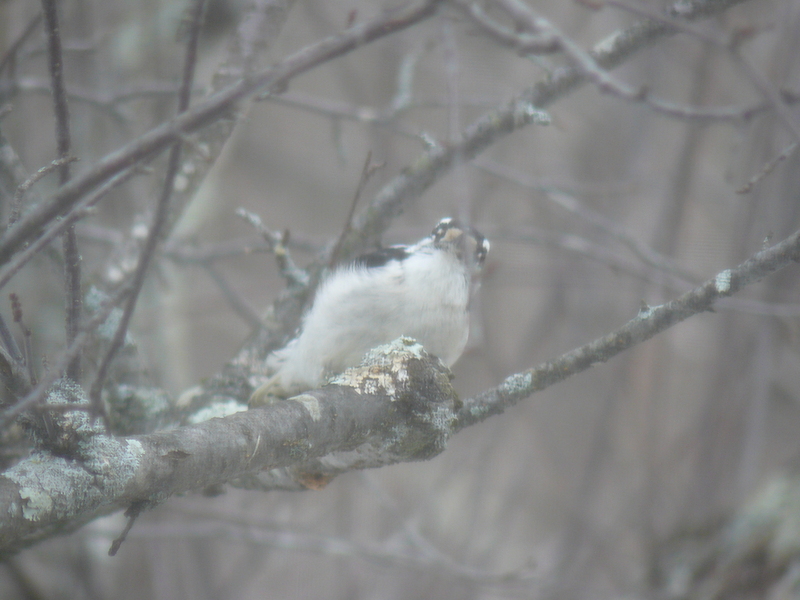 Then I saw the black and white and red of the re-bellied woodpecker, bobbing away, so close, intense. Watching me watch him. What next? It’s a good lesson, letting all these things come in good time. Anticipating what wonder there will be, creating context for a more authentically experienced experience, is well worth the wait. Saute onions and garlic in a few tablespoons olive oil in a stew pot over medium heat until soft. Turn up heat to high and add turkey, salt, and spices. Stir and cook until turkey can be broken up into small chunks. Add mushrooms, turn heat back to medium and cook until mushrooms release their liquid. Add carrots, tomatoes, chutney and tomato paste. Stir well, bring to a boil, turn heat to low, cover and simmer for about 20 minutes, until carrots are just done. My favorite insight that you’ve shared here is the one of “being able to move so freely in a place I thought I couldn’t.” Vast applications for that one. 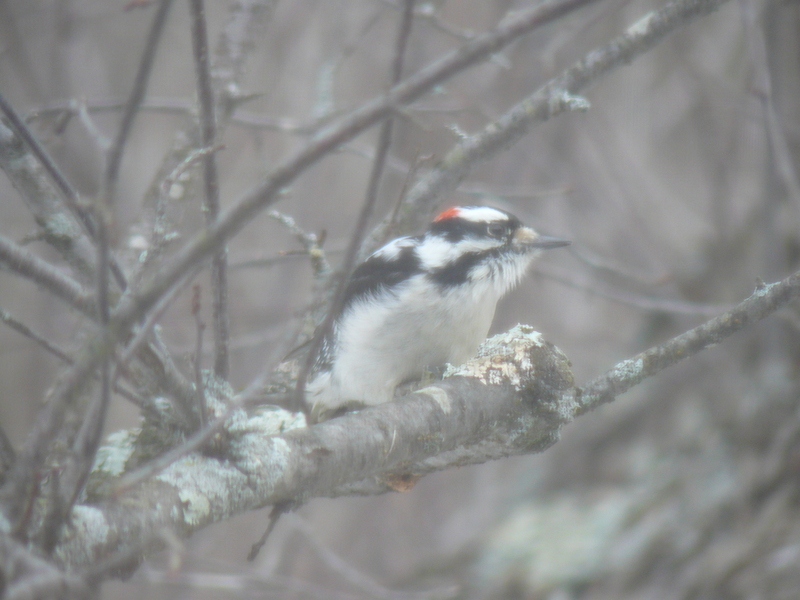 Also the woodpecker — I wonder what he wrote on his blog about YOU! Love that shot of him. 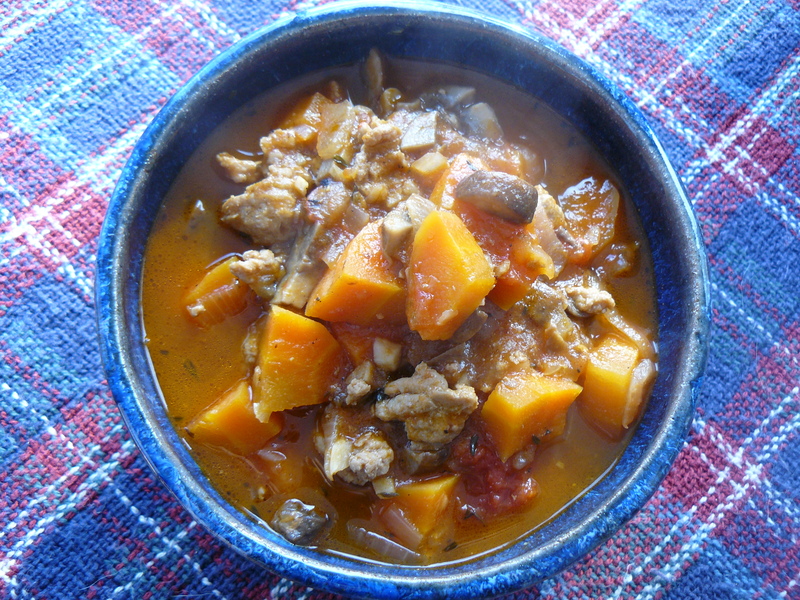 A perfect day for your inspired stew.